If you need more than LEDs for indication in your projects, your next option is LED matrices or 7-segments. 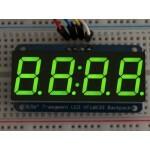 Adafruit 0.56" 4-Digit 7-Segment Display w/I2C Backpack - Green is a great product to use as indicators in your projects. 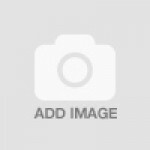 7-segments are great, but they have a small problem. You need 14 pins to control a 4-digit-7-segment display and that is a lot of pins to give up. There are driver chips like MAX7219, but that solution needs lots of space and lots of wiring. 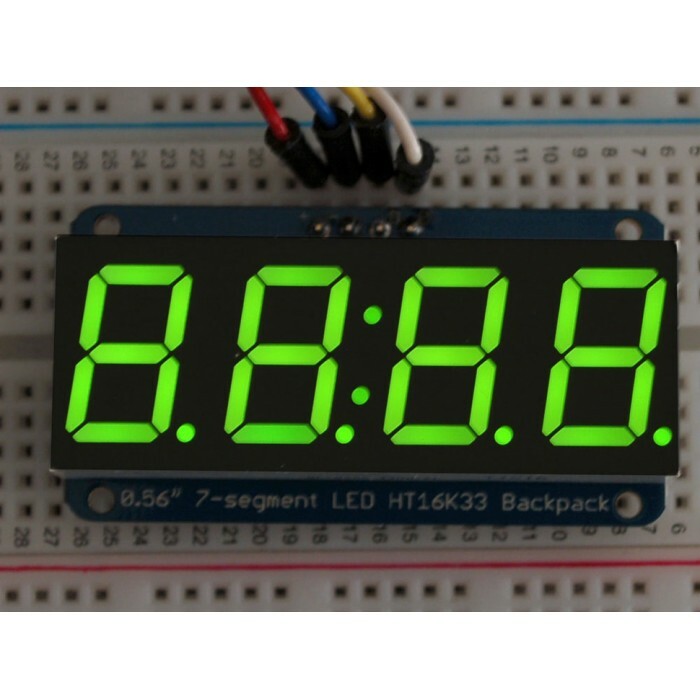 With Adafruit 0.56" 4-Digit 7-Segment Display w/I2C Backpack - Green, Adafruit solves this boring problem. The 7-segments have I2C backpacks to reduce the number of pins needed to drive the 7-segments to just two. The driver chip on the matrices does all the needed things for you. It has a built-in clock, so it multiplexes the display. 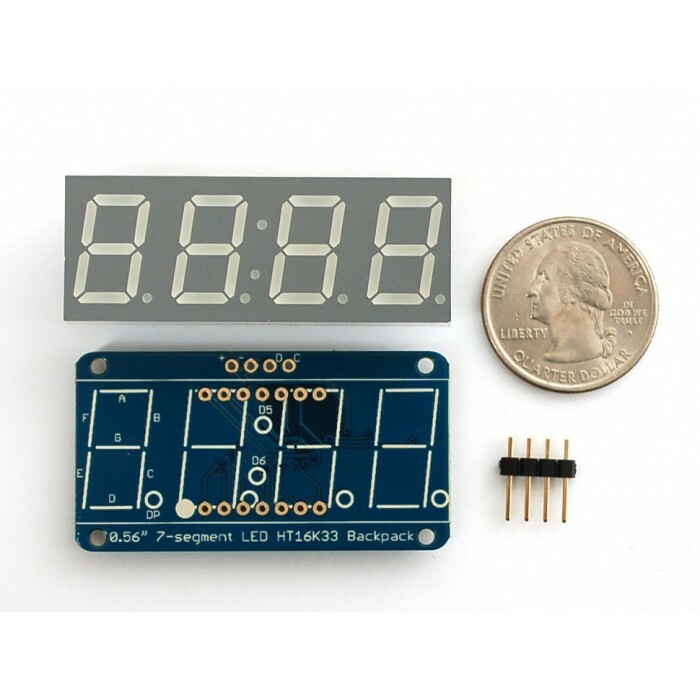 It has constant current dividers for ultra-bright, consistent color and it has 1/16 step display dimming and this is all done via simple I2C interface. The backpacks come with address-selection jumpers so you can connect up to four mini 8x8's or eight 7-segments (or a combination, such as four mini 8x8's and four 7-segments, etc) on a single I2C bus. A bit of soldering is required to attach the matrix onto the backpack but it is easy to do and only takes about 5 minutes. 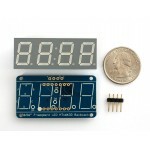 There is also a detailed tutorial from Adafruit to show how to solder, wire and control the display. 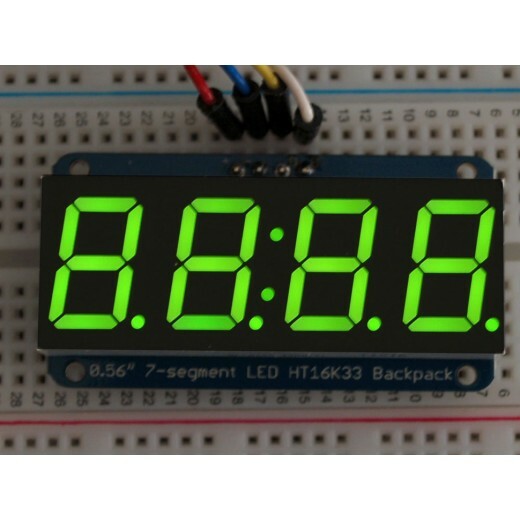 There is also a library that can be used with the 8x8 LED matrices and 4-digit 7-segment displays. 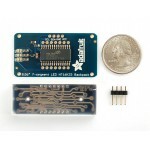 Backpack Dimensions: 27mm x 50mm x 4mm / 1.1" x 2" x 0.16"
7-Segment Display Dimensions: 19mm x 50mm x 14mm / 0.75" x 2" x 0.56"